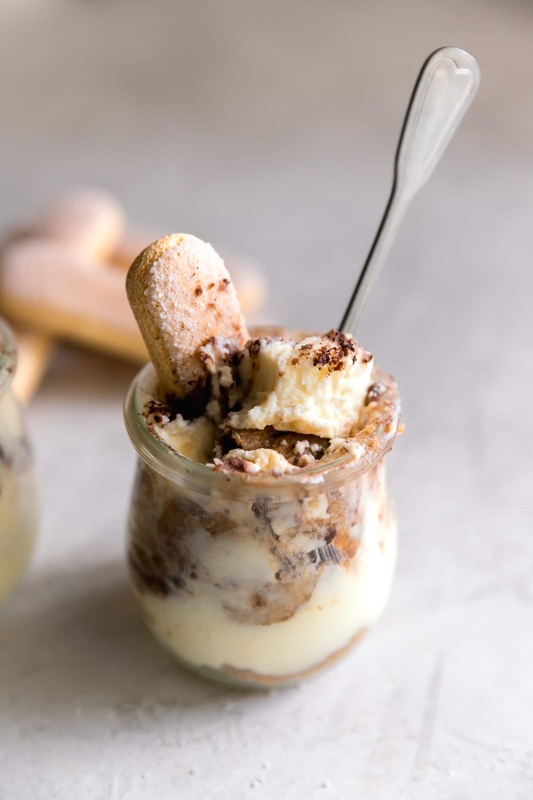 Easy Individual Tiramisu Cups. Layers of creamy mascarpone mousse, espresso soaked ladyfingers and unsweetened cocoa powder. Perfect quick dessert for any day of the week! While I’m a cookies and bars girl through and through, sometimes I want a chocolate-coffee dessert too, ya know? 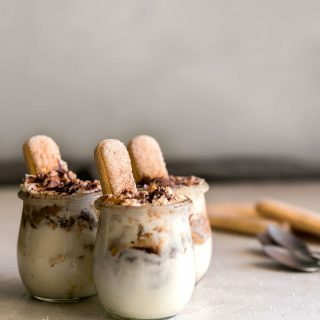 That’s why I made these tiramisu cups! Not only do they look cute, they also are perfectly proportioned for each guest. 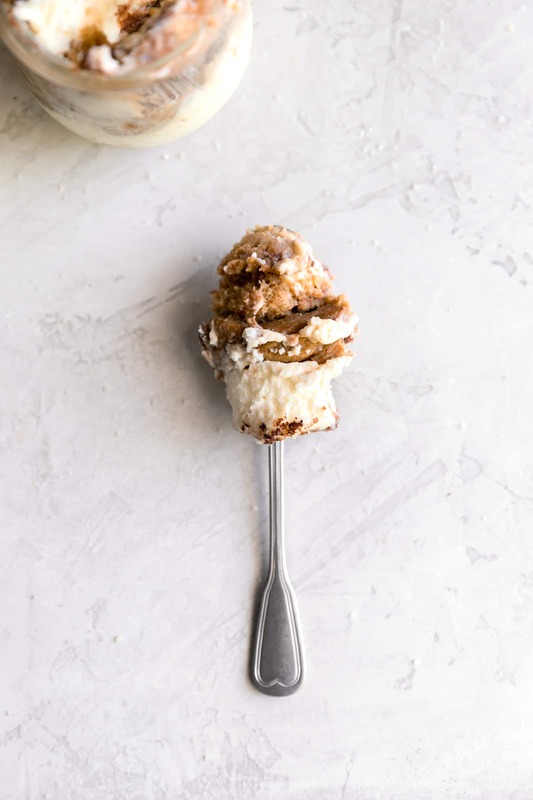 These easy individual tiramisu cups are a little different than traditional tiramisu because they have no eggs. Instead of a custard, I made more of a creamy mascarpone mousse using sugar, heavy whipping cream, and vanilla. And it came out DIVINE. It was SO easy-to-make plus the coffee soaked ladyfingers and the sprinkled cocoa. I mean, how good does that sound?! This is the perfect quick dessert when you have family and friends coming over. In a bowl, add ladyfingers and pour the espresso over the ladyfingers. Set aside. In a mixer, add mascarpone, sugar, heavy cream and vanilla. Mix until fluffy and creamy. Set aside. 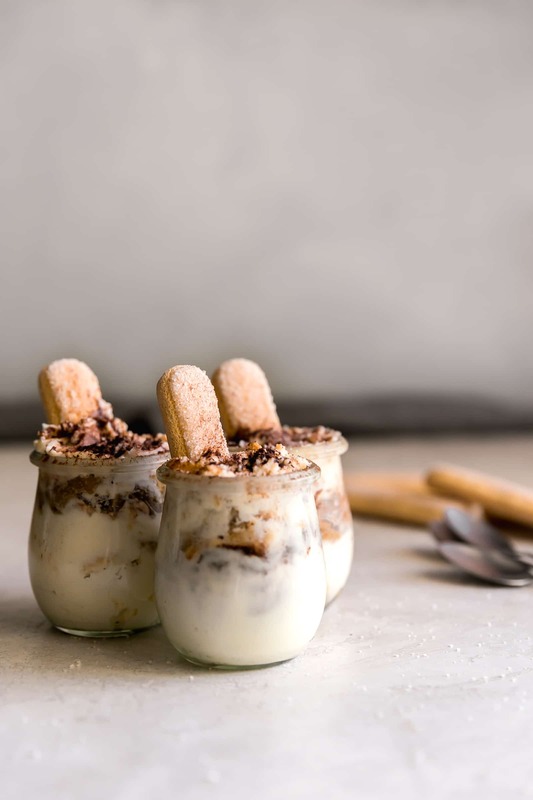 Begin layering each cup with a layer of the mascarpone mousse, cocoa powder and then ladyfingers. Repeat until the cup is full. Top with more cocoa powder. Serve and enjoy! I mean – wow – can it be any easier? It looks SO TASTY! Would love to give these one a try sometime soon. Love your recipe, so easy and looks super cute! What’s the size of the cup that you used? Can you tell me is it sweetened cocoa powder or sweet? Hi! It is unsweetened cocoa powder. how many serve from this 15 ladyfingers cup? Hi! The recipe makes 4 individual cups.